Tim Ball: Is Robert Mueller A Technocrat Operative? I always thought the law was designed to protect people, not to ‘trick’ them. 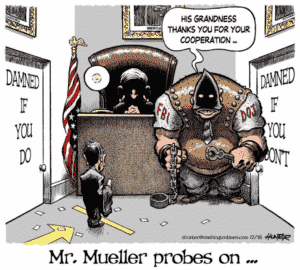 Now Mueller, a quintessential representative of the technocrats and the bureaucrats, uses the taxpayer’s money and power to trick them into committing crimes, destroying their lives through bankruptcy and labeling them as felons for the rest of their lives. The fallacy of the law as practiced is that they know there is no such thing as perfection, there are always flaws and faults, yet they pursue perfection. It means they can always find something wrong to bring a case or to throw it out. In one of my lawsuits, I asked the lawyers why the judge was acting and ruling in what seemed to me an unnecessary and illogical manner. They told me he was working to reduce the potential for appeals. That appeared to become more important than the case. It is fine, but it didn’t matter because my accuser appealed the verdict. 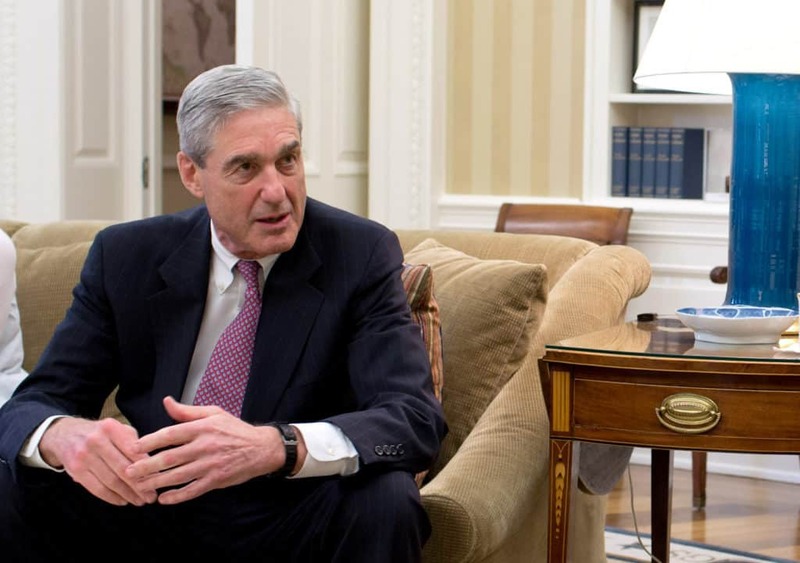 The Mueller Special Counsel could not fail. It set out to find fault, and if it didn’t, it was able, through deception, to trick people into incriminating themselves. Apparently, in some cases they even blackmailed people. Yes, blackmail! They indicated something the person or even their relatives did and told them it was a crime punishable by, in some cases life in prison. The person could not take the risk and so opted for a plea bargain. Even the threat of legal action and the cost of defense is beyond most people. That, by any definition, is blackmail. Previously, the technocrats used lawyers and the law to protect themselves. They extended the reach of the law in the 1940s from Criminal and Civil law into Administrative Law. The latter, introduced by the lawyers on behalf of the technocrats, made it virtually impossible to fire a government bureaucrat. It was amazing and frightening to watch a person who works for the people, Lois Lerner, plead the fifth. Trump brags about finally, after 40 years, being able to dismiss an employee of the Department of Veterans Affairs. This is beyond belief and a measure of the extent to which the technocrats through their lackeys, the lawyers, have control. Who works for who? This is pure McCarthyism, the Senator who forced people to name others as possible communists. If you name others, we will go easy on you, more blackmail. Meanwhile, we will recommend no jail time as a reward. Forget that we have completely destroyed, your life, your family, your reputation, and forced you into bankruptcy to defend yourself. This is the very opposite of what the law is supposed to do; in short, it is pure evil. It is also against the very existence of America. In the long-term, they have established legal precedence, an issue I will discuss shortly. Now, one of Mueller’s targets Jerome Corsi, a victim of this misuse of the law, is fighting back. He will regret that decision. The entire technocrat/bureaucrat/legal triumvirate will close ranks and do whatever is necessary to crush him. Then they will assign his case to a court that will rule in their favor. This will allow them to put the boot in as they pursue him for false accusations, jailing him and taking everything he has left after his lawyers take their share of the money. Mary McCarthy’s definition says that “Bureaucracy, the rule of no one, has become the modern form of despotism.” They react like any despot when threatened. They squeeze an interpretation out of the existing rule book. If that doesn’t work, they create new rules. How did America sink to this level? Much of the evidence was in the Senate Hearing to appoint Judge, now Justice Bret Kavanaugh to the US Supreme Court (SCOTUS). His testimony was that he made judgments on the Constitution and Precedence. He added ‘precedence’ for cynical, political reasons. It allowed him to imply he could not overturn Roe versus Wade because Scotus set a precedent. The Constitution clearly set out by the Founding Fathers contradicts that idea. They knew society would change and values would change. However, they also knew it could not and should not create new laws for every change or fad. They provided for a system of Amendments but made their introduction very difficult. There are currently 27 ratified amendments including the first 10 known as the Bill of Rights. Two of them reflect the problem with pursuing fads. The 18th Amendment was for Prohibition while the 21st was the repeal of Prohibition. In 1973, SCOTUS ruled on the constitutionality of Roe versus Wade under the 14th Amendment known as the Due Process Clause. They determined that laws that criminalized or restricted abortions were unconstitutional. When this occurred the public support for abortion seemed strong (see graph). Meanwhile, societies views began to change as a debate developed over when abortions could occur. In 1992, in the case of Planned Parenthood versus Casey, the court confirmed Roe versus Wade and confirmed abortion rights until “fetal viability.” Kavanaugh cited this as “Precedence” which, presumably, means he would vote against repeal of Roe versus Wade. However, what happens if the public attitude to abortions changes like it did with Prohibition? Apparently, the technology of ultrasound is one factor driving a growing resistance to abortion. A graph from the public opinion poll company Gallup shows the change. This indicates the people were split 56 Pro-life and 33 Pro-choice, just 14 years ago. Today it is 48 to 48. Could the influx of predominantly Catholic migrants from Mexico, Central, and South America put Pro-life in the majority? Precedent, as defined by Kavanaugh, takes somebody else’s interpretation of the original intent. The trouble is those interpretations were based on their views at the time, not those of the originators. Kavanaugh said, as most judges do in the hearings that he would only go to expressions of intent by the originator as a last resort. It’s more likely the intent from the originator is a better measure than from an intervening interpretation by someone with different values, a precedent. The use of precedent is no better than the political judiciary Kavanaugh claims to abhor. No wonder the social-engineering Justices on SCOTUS welcomed him with open arms. I would prefer Kavanaugh over those Justices but I have no illusions, that his words and actions indicate he will put the law designed to serve the people above the people. It is part of the technocratic creed that the end justifies the means, and Kavanaugh showed he knows how to play that game.